State Rep. Mary Gonzalez says the Tronillo facility is no longer accepting new migrant children. She wants to see the children being held there returned to their families. The immigrant detention facility for kids in Tornillo, known as "tent city." The border, the wall, the immigration issue – they’re all front and center right now in Washington, as they have been almost every day of 2018. In Texas, the border issue gets even more personal. In some cases, it’s literally in our backyards. The so-called tent city, which houses migrant kids in Tornillo, has been at the center of a lot of the criticism over the Trump administration’s handling of immigration issues. And though it’s slated to remain open at least into the new year, some say it could be shut down later in 2019. State Rep. Mary Gonzalez, a Democrat from El Paso County, which includes Tornillo, says she’s been told that the Tornillo facility has stopped accepting new migrant children. “With the timeline they’re working at, by the end of January, Tornillo will be closed,” Gonzalez says. Gonzalez says officials have said before that the facility would close. It did not. But now, with no new migrant children being admitted, she says that makes the current rumors of its closure more likely. Gonzalez has visited Tornillo, and has helped provide activities for the children who are housed there. “We’ve done a soccer ball collection for the kids. When I went in and talked to some of the young ladies, they had taken up knitting, and so we had done a yarn drive so the girls would have something to do,” Gonzalez says. Tornillo residents have families they could go to, Gonzalez says. She wants the federal government to speed up the processing of children so that they can be reunited with their relatives. 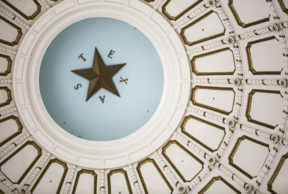 When the Texas Legislature convenes next month, Gonzalez says she wants to see the new House leadership team “be reactionary” to the federal government’s anti-immigrant policies. “Texas is really dependent on our immigrant community, and it’s part of our culture and our history,” she says.